Through your monthly sponsorship donation, you are supporting your sponsored child’s individual needs, contributing to the costs of them receiving a great education, regular meals, essential healthcare and, if needed, providing them with a comfortable home and loving parents. This support is essential in giving your sponsored child the best care possible and the unconditional love that they deserve. There’s nothing like receiving something personal in the post. We encourage sponsors to send letters, photos and small gifts that fit into an A5 size envelope to their sponsored child. Large parcels are discouraged due to the high cost of postage, customs issues and fairness to all the children. Just send your postal gift to our England office with all their details enclosed and we will forward it on to your child on a monthly basis. We would love you to email your sponsored child; it’s quick, easy and cost effective. Please send your email to [email protected] and include your child’s details in the subject line. Sometimes it’s difficult to find a gift that will fit in an A5 envelope. So we have a great solution – send them some money. There are two ways to do this; call us on 01708 442271 to make a card payment or you can send a cheque to our England office (made payable to Stand by Me) making it clear on the covering note what the cheque is for. We will transfer the money and our overseas staff will then purchase a present on your behalf, buying something that your sponsored child wants or needs. We suggest an amount between £5 and £20. If you want to give more than £20 we will use the extra to provide gifts for children who do not have a sponsor. 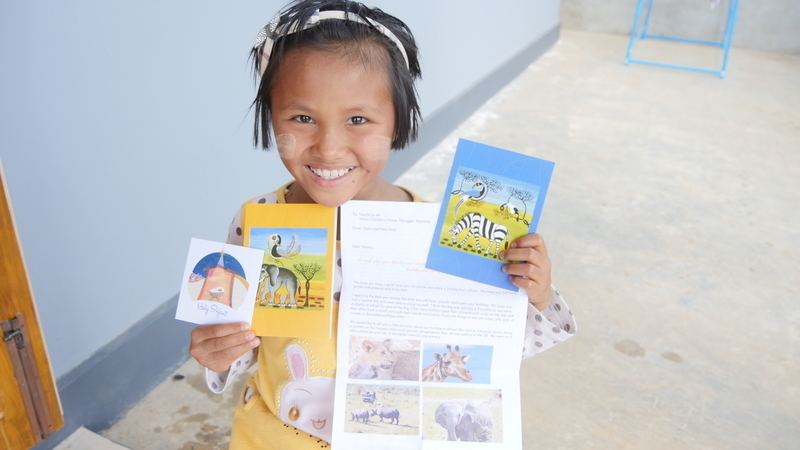 And the best thing about sending a letter, email or gift for your sponsored child - they will send you a reply! As you write and receive communication from your child you build a personal relationship with them. You get to know their interests, hopes and dreams and they feel loved by you! Please allow up to 12 weeks for a response by post and up to 4 weeks for a response by email. If you have any questions about communicating with your child, please get in touch on 01708 442271 or email [email protected]. We began caring for Bily at our Eva Russell School when he was 5. However, Bily hasn’t always loved school; because of his learning difficulty he found it hard to progress. Bily’s enjoyment of life changed when he discovered taekwondo.